I was born in Paris, but if I am french I am not of french origin. My father was german (jewish) and my mother was belgian. This eclectic background may be already a reflection of my eclectic musical tastes. For professional reasons the family moved to Brussels when I was 10 and I still live presently in this city, one of the most multicultural of Europe. I started to get interested in music when I was 14 and I bought my first guitar at the age of 15. 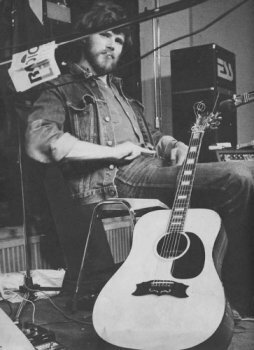 At that time I was mostly interested in folk music, especially the protest songs of the USA. In order to understand the meaning of the lyrics I learned English as fast as possible. I also liked country blues as well as traditional music from Latin America or Eastern Europe. I started very quickly to write songs and to play with school friends in various groups. I have still some recordings left of that time but their sentimental value far exceeds their musical value. Later my musical tastes got more diverse. I started playing electric guitar and keyboards. I loved the head-rock (or symphonic rock) period from the early seventies then the jazz-rock explosion that followed. At this time I also first stopped singing then writing songs. As from 1979 I have only composed instrumental music. I played a lot of jazz-rock with two consecutive bands between 1979 and 1986 (Spring and Falklands). 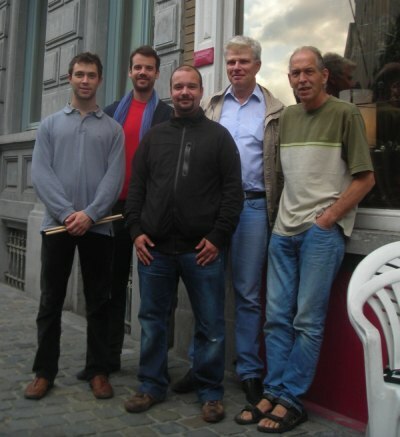 This led me to know the Belgian jazz scene, the nicest musical scene I know so far. I got acquainted with computer-music at it’s beginning in 1986. The software of that time were very user-unfriendly : everything had to be written note per note, and the only way to humanize a bit the result was to play with the length of the notes by adding or subtracting 1/128 notes. I acquired then a solid experience as contemporary monk and a sound hatred for quantizing. Being a member of a “expert” group in computer-aided musical composition I got involved, through sheer chance, in a cultural mission between Belgium and Zaïre. The purpose of this mission was to put together a three-week workshop on computer-aided music for the benefit of a selection of zairian musicians. 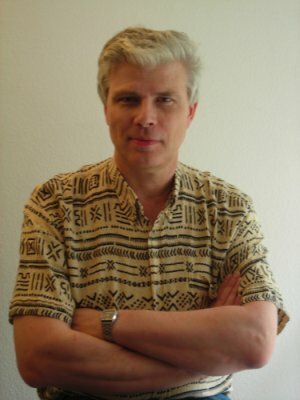 I had no knowledge of African music, but I knew how to use a computer in a musical way and the software had gotten much better. All I had to do was to train the participants. This trip to Zaire, my first to Africa, was a deciding factor in my musical choices up to now. Since the beginning I had always been in touch with “black” music, from country blues to soul and then jazz, so I was not completely in foreign territory, but Zaïre had a wealth of new rhythms, melodic and accompaniment patterns that were fascinating to me. Furthermore some of my trainees were part of a wonderful group called Embowassa, with excellent voices and great songs. 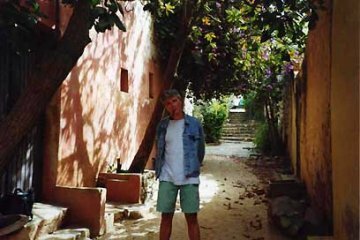 At the end of the mission I went back to Europe, taking with me the precious disquettes on which I had stored as many rhythms and songs as possible. 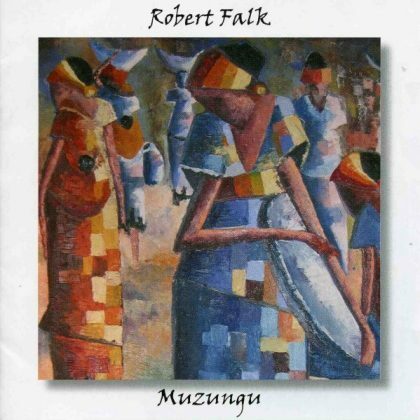 In the course of the next two years I started working on a new series of compositions, with mixed African and jazz elements of which a part can be found in my CD ‘Muzungu’. I was also working on arrangements for the Embowassas and on the various ways to make them come in Europe. Eventually they were invited in 1991 for a one month stay in Belgium which I used to record their (and my) first CD, ‘Tuta Weza‘ (1992 – Franc’Amour CD 73). Two members of the band, unwilling to return to a decaying country (Zaire of 91) decided to stay in Europe, despite the hazards of underground living, and this led to the split of the group. I tried to maintain the links between the part of the band in Europe, and the one that had returned to Zaire, but after a few months spent in Belgium, Didi Ekukuan, the leader and principal singer of the band moved to France and joined his brother Lokua Kanza who he played with for 10 years, sometimes with Bondo Lumembo, another ex-Embowassa. The group was by now really dead and I had to find something else. 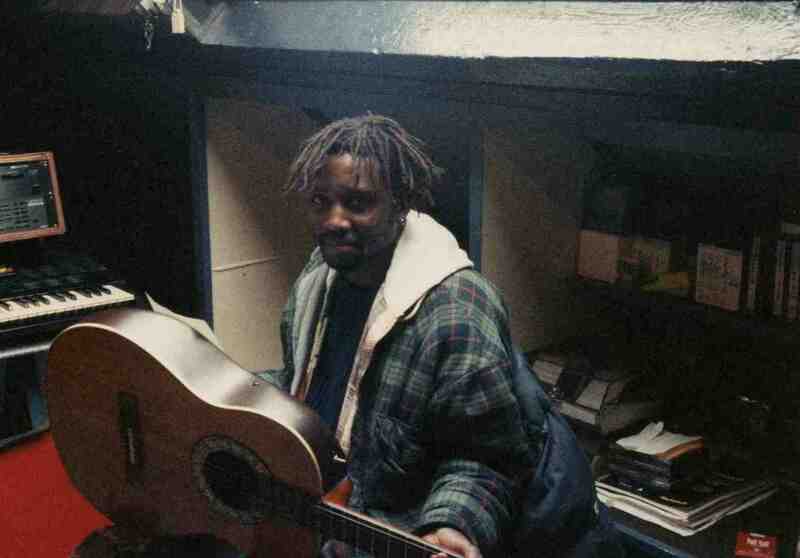 My next musical encounter was in 1993 with an artist from northern Senegal, Abou Thiam. He had come to Belgium with his traditional trio, Ngaari Laaw, but his guitaris had been lost in the way. I replaced him at a moment’s notice and we didi a mini-tour during the summer of ’93. Through Abou and his sideman, Mamadou Gueye, who plays the hoddu ( a traditional 4-string African instrument close to the american banjo) I discovered the halpulaar music of the Senegal river region. 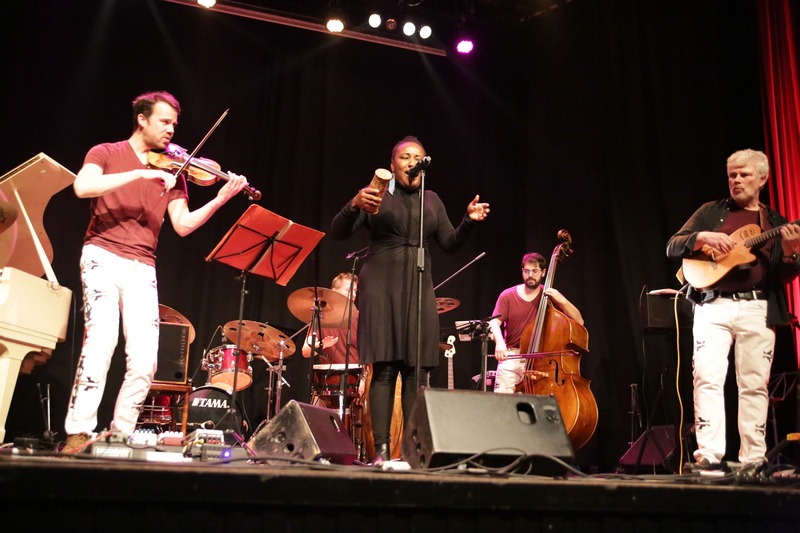 I recorded two songs with the trio in Brussels, and after the return of Abou and Mamadou to Dakar I did a symphonic-type arrangement on one of the tracks, « Daara ». which I sent to Abou. He was so impressed by the result that he sent the song to the RFI competition of ’93 where Daara was one of the finalists.. Sometime later Abou signed a contract with the Cobalt label in Paris and released a CD, on which my version of Daara is featured. However, Abou had not forgotten to include the song but did forget me when if was time to share the money that the song had generated. Since then I have never worked with him anymore. In 2012 I got the surprise to receive an appreciable sum from the SACEM representing the 10% of arrangement royalties that Cobalt generously awarded me after I called them to make myself known. It took 16 years for the money to cross the french border ! 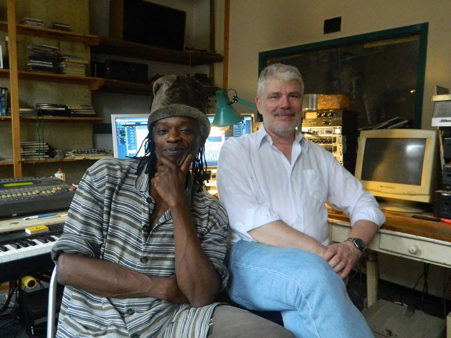 In 1994 I started a musical collaboration with Dominic Kakolobango, a Zambian artist who lives in Brussels. Dominic was one of the pupils and is one of the musical heirs of the late Jean Bosco Mwenda, a guitarist and songwriter from the southeast of Congo-Zaïre. Jean Bosco Mwenda and other artists from Zambia, Kenya or Tanzania are representative of a style of music which could be called ‘Swahili folk’ : ballad-like songs with an acoustic guitar backing ; something very different from the majority of modern urban african music. Dominic and I decided to revisit this repertoire and to perform it. We put together a mini-band with bassist Ary Zogdoulé and the then unknown Marlène Dorcéna. We also recorded the CD ” Habari Za Kwetu ” (1995 – Sonodisc). Later Dominic and I experienced tensions because of musical divergences and we decided to end our collaboration. My financial problems with Abou Thiam had not disgusted me with halpulaar music.and I started in 1996 to work with Malick Pathé Sow, a Senegalese artist living in Brussels. Malick had founded a group called Welnere, which I joined, bearing the prestigious title of musical director. By getting also a drummer, we had a real stage-group of world music (which is after all only the same as the folk-rock of my adolescence) and we played a large number of gigs, both small venues and big festivals between 1996 and 1999 (including a memorable show in Geneva for the ‘Fête de la Musique’ in june 1998 and another -less convincing – in Couleur Café in june 1999). I recorded in the studio that I had built little by little 7 songs which I released as a cassette at the end of 1997. I wanted to release it also in Senegal, but the production demands and the impossibility to find reliable partners, made me decide against it. Fortunately something else was coming up. 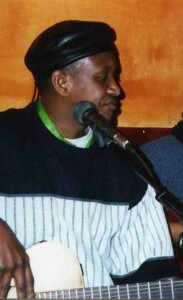 Malick had played for a long time with Baaba Maal and put me in touch with Baaba’s label, Island Records. The people there were delighted with this cassette and proposed to us a CD contract on Baaba’s new label which was being created. For reasons which are still unknown to me today, nobody within the UK label did seriously take care of the promotion, and this CD was never released in the USA despite being listed in the European World Music Charts. At the end of 1999 the tensions which had long existed in the group got worse and a large part of the band went away including myself. Almost a year later I came back but with a much lesser status. 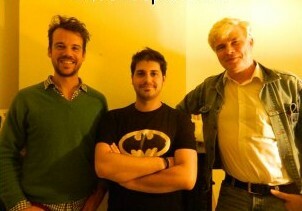 We worked nevertheless on a second CD, for which I collaborated with the new musical director Mbagnick Gaye. Due to the general disinterest of the established labels I eventually decided to take in charge the entire production and release of the CD which took place in june 2002 on my own label. The same problems about finding reliable partners occurred again, and this CD remained almost confidential. While looking for an American partner I sent a few copies to the USA and I learned later that the CD had been pirated on a large scale. We signed a distribution contract in Senegal, but I never heard anything more about it. 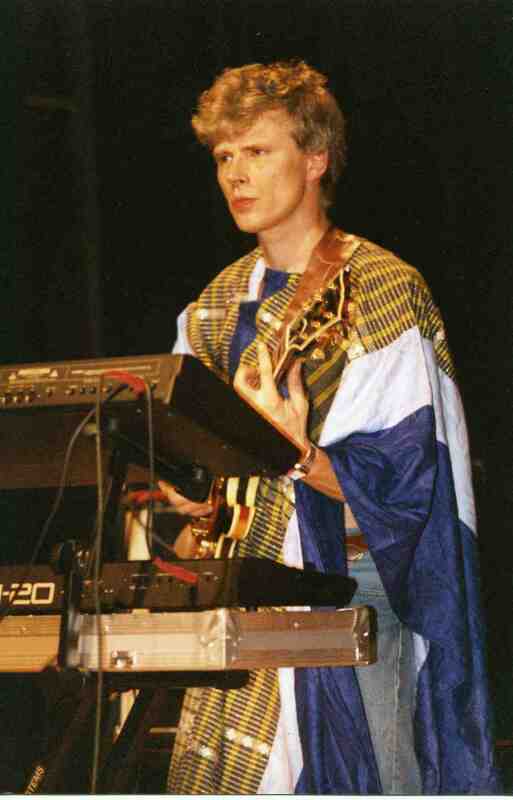 Later, Malick partnered with Mbagnick for a 3rd CD, and then became an important artist with the Muziekpublique organisation. He released two additional CDs with them, which are purely acoustic, and are his best known work so far. For some reasons I don’t know, Malick ended his collaboration with Muziekpublique around 2013 and has been looking for a way to relaunch his career ever since. At the end of 1999, after my departure from Welnere, I joined Pas Mal +, a Brussels Congolese band. 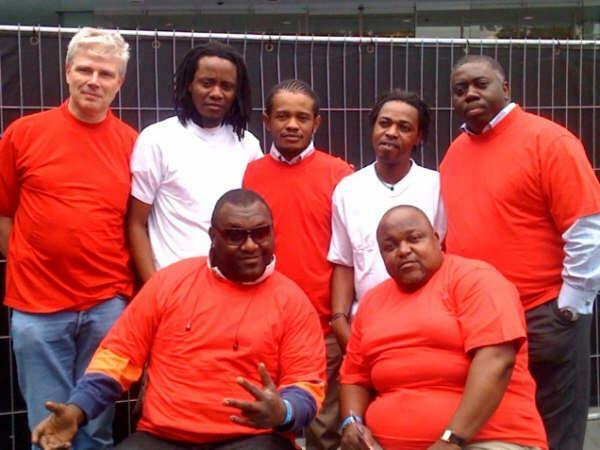 This group had been founded by Yannick Koy and J.P. Kilosho and comprised excellent musicians from the soukous community in Belgium. The repertoire had nevertheless a large amount of songs in afro-cuban, jazz or reggae style.It was thus real fusion music with afro elements from both sides of the Atlantic. Between 1999 and 2008 we made a large number of gigs, both in small venues and big festivals. After 2008 nothing really serious happened with the band anymore. Sometimes the duet Kilosho/Koy will appear on a stage with the name Pas Mal + but without the same repertoire. We recorded enough material for a large CD, but my experience of Diariyata had made me very cautious about the possibilities to manage properly a CD release without an adequate structure. With the general crisis in CD sales and the virtual disappearance of the band, I gave away the idea of investing more money into the manufacturing of a physical CD and created a virtual album by uploading the music on my site. This pseudo CD bears the name ‘Chacun Pour Soi’ (Everyone for himself) . Since 2004 I have chosen to concentrate my efforts and my financial resources on self-production of my own compositions. Some of these are quite old (the oldest dates from 1985), but have been enhanced over the years as my musical experiences have expanded. The first set of tracks were regrouped on the Muzungu CD, which was simultaneously being released in the classical way and downloadable here. The CD has also been played in several indie radio broadcasts as far as the east coast of Australia. After the release in 2006 I remixed a few tracks. The latest versions are thus only in a downloadable format. I have worked with several west-african musicians over the years and visited the region frequently. It was thus natural that my second set of compositions would focus on that part of the continent. 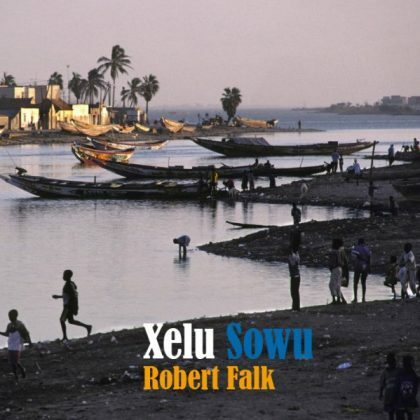 Almost all of Xelu Sowu’s tracks have been composed between 2004 and 2007, which gives a better coherence in the compositions. I could also benefit from the experience of Muzungu in terms of recording and production techniques. The tracks have been played by several radio programs, and “Divinaval” which I had given out for free on a american jazz site is now featured in a serie of podcasts. The general crisis in the CD business means however that this kind of adventure has now become almost a philantropic (or narcissic) effort. I had wanted to go back to an acoustic sound for a while and, after a failed attempt to put together a band based on the west-african kora with Bao Cissokho, I decided to start an afro-jazz quintet with two acoustic guitars, a violin, acoustic bass and percussions. 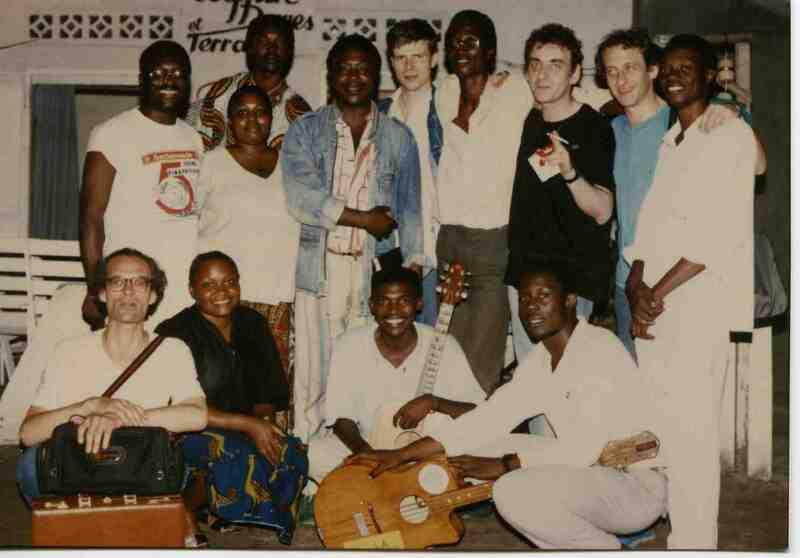 The name “Orchestre Toubab” was a reference to the mythical Orchestre Baobab from Mali, and also outlining the fact that this was not an african band, but a european band playing music inspired by Africa (Toubab means the white man, in western Africa). 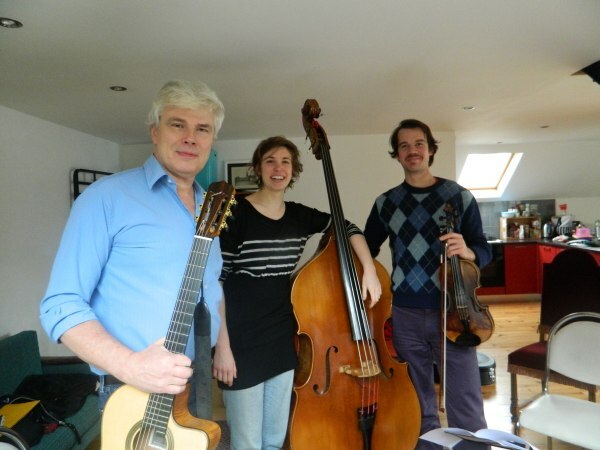 The original setup was Benoit Leseure (France) on violin, Cédric Gilis (Luxembourg) on steel-string guitar, Pieter Van Leeuwen (Netherlands) on acoustic bass and Chris Thirion (Belgium) on drums. The idea was to primarily do gigs and record a CD along the way but in the end it turned out to be the opposite. I used my studio to record all the pieces in the traditional one-musician-at-a-time technique. However, to get shows with a five-piece band proved to more difficult that I had expected, especially since I had left the jazz scene since the 80s. 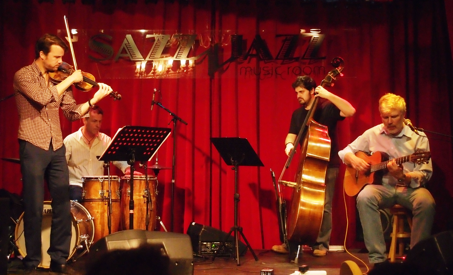 All recordings of the quintet can be found on the Orchestre Toubab 2010-2011 page. On the recommendation of Benoit I asked the young double-bass player Lara Rosseel to join the band. Although she quit a few months later she left her mark on the Toubabs. In order to have a ‘live’ recordings that would faithfully depict the sound of the Trio I booked a session in Daniel Léon’s Igloo studio. I also recorded Lara in my studio to complete the 2010-2011 recordings. The live trio recordings are to be found on the Trio Toubab page. As a replacement for Lara I contacted Alessio Campanozzi, a young italian bass-player who had just moved in to Brussels, coming from his native Bari to improve his skills on double-bass in the Brussels Conservatoire. I was thus surrounded by two youngsters (I must be around the age of their fathers !). They put in a lot of enthusiasm and creativity in my music. After two months of rehearsals, we finally had our first gig that November in Brussels. We all felt the absence of percussions and I decided to run an advertisement looking for a percussion player who would be equally at ease with central and west-african rhythms as well as afro-latino percussions. Surprisingly I got a lot of answers, from as far as Nancy (400 kms of Brussels). We settled for Gauthier Lisein, a graduate from the Liège jazz conservatoire who has frequently travelled to Africa and Cuba. He brings in even more energy and creativity ! We had our first gig as a quartet in March in Brussels. We recorded a bit later a series of tracks, using the same ‘live technique’ in Daniel Léon’s studio. These recordings were to be used in our first CD ‘Tukki Janeer’. Since 2013 we have been doing more and more gigs and little by little we are building our own musical personality. There is more info on the Orchestre Toubab page and on the Orchestre Toubab website. In the fall of 2014 I decided to release a new CD, although record sales are extremely low. With the band’s evolution it becomes necessary to be able to present an ‘official’ quality recording. The CD, which has been released in January 2015 comprises the best versions of the two recording sessions at Igloo studio as well as some recording from 2011. It is also available in streaming and download on the usual platforms : ITunes, Spotify, etc. More details on my Orchestre Toubab page. The 2nd CD of the toubabs has been recorded mostly in 2017. It is a direct continuation of the first album. It features 10 new tracks and a new arrangement of Tokoro. The title is Teeru Deggoo which means Harmony Harbour in wolof. Seaports are places where different cultures meet and intermingle which is why I chose this title. Being aware that a singerless combo has a lot less chances of getting any kind of interest from mainstream medias, I decided to include some vocal parts in the tracks, but without making actual songs. I found a pervert pleasure in mingling themes and even impros with unusual vocal parts such as the pygmy choir in Umugore W’Ibanga. For musical excerpts and more infos I suggest to switch over to the Orchestre Toubab site. As the tracks are not yet on the streaming platforms (I have to wait for the good will of a serious aggregator) this is the only way to hear them. During 2013 – 2016 I also worked on Coco Malabar’s songs. Coco is a Congolese artist who, after a fine beginning of his career in the ’90, has vanished a bit from the spotlight. My job on this was mainly a sound engineer’s job, but I played a bit of keyboard and guitar on some of the songs. Release of the CD is planned for spring 2018.